The book of Isaiah is quoted more times in the New Testament than any other book, prophet or character in the Old Testament - 411 times total. For this reason alone special attention should be paid to this prolific and extremely relevant prophet. Isaiah's ministry (ca. 750 - 690 BC), perhaps more so than anybody else in the OT, connects both the Old and New Testaments together. The book of Isaiah serves as a bridge connecting the wide gap between the writings of the OT and the formation of the NT. Jesus Himself said He did not come to abolish the old law, but establish a new one. The teachings of Isaiah were those portions of the old law Christ preached on frequently. This is a notion lost to many today, unfortunately. The OT and the NT are viewed by too many as separate books from different times, when in fact, they are two books of the same message - a story continued. Yes, they are from different times, and yes, they do contain different theological truths to some extent, but the message is clearly united. The book of Isaiah displays this continuity arguably better than any other OT figure or prophet. Isaiah's repeated Messianic themes echo throughout the rest of the Bible into the pages of Revelation. Jesus loved to quote from the book of Isaiah. It is no coincidence the first passage Jesus read in public after His temptation in the wilderness, in His hometown synagogue of Nazareth, was from Isaiah 61 (Luke 4). In fact, Isaiah's name means, "salvation of YHWH", or, "YHWH saves". Indeed this theme appears frequently in the book of Isaiah, and is a theme which runs throughout the entire Bible, including into the New Testament with Jesus saving mankind from its sins. In his name Isaiah captures one of the chief themes in the Bible - God saves and delivers. 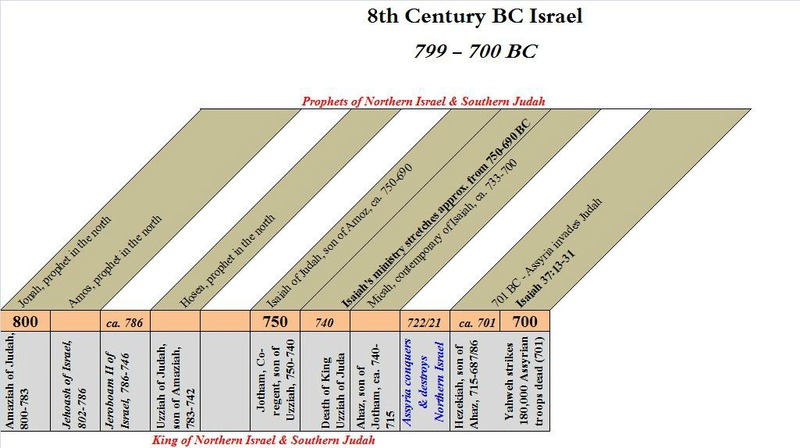 An 8th century BC timeline of Israel. The prophet Isaiah ministered during the middle to end of the 8th century BC. This timeline shows Isaiah's day in context with prophets & kings throughout the 8th century, both in Judah & northern Israel. Isaiah's time stretched from ca. 750 to 690 BC. The book of Isaiah is believed to have been finally compiled ca. 630 BC. This was decades after his death. We know little about the actual life of the man Isaiah. The book of Isaiah gives scant detail about him, paying more attention to his prophecies and ministry than to himself. However, a few clues and tidbits of information are scattered throughout the Scriptures to give us an idea. Isaiah 1:1 reveals Isaiah is the son of Amoz (not to be confused with the prophet Amos). No brothers or sisters are given, nor is the name of Isaiah's mother. Isaiah 7 - 8, though, gives the names of the prophet's family. The Bible says Isaiah married a prophetess (8:3), though her name is not given. Gary V. Smith correctly points out we are not told if she was actually a prophetess, as none of her sayings or teachings are in the Bible, or, if this simply meant she married a prophet. In Isaiah 7:3 & 8:3 we are given the names of their two sons. The first son of Isaiah was named, Shear-Jashub, which meant "a remnant will return". The faithful remnant of God's people is a reoccurring theme in the book of Isaiah. His second son's name was, Maher-Shalal-Hash-Baz, which translates as, "quick to plunder, swift to spoil" (Is. 8:3). This passage can be somewhat confusing, as a third child is mentioned in Isaiah 7:10-16. This child is not Isaiah's; and in fact many argue this is a prophecy of Christ's birth, though this interpretation has its critics. Thus it is clear Isaiah's family was an important and integral part of his ministry, though little else is ever mentioned of them again. We only know they were faithful to Yahweh as evidenced by their willful and faithful participation in Isaiah's often strange ministry. 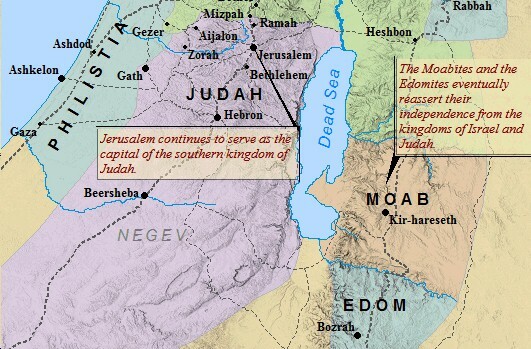 A map of the southern kingdom of Judah. Isaiah lived in Judah, most likely in Jerusalem. Many scholars feel he came from a wealthy and, perhaps, royal family. This would explain the ease with which Isaiah often approaches the different Kings of Judah. Some have even felt inclined to support a theory Isaiah was a cousin of King Uzziah (II Chronicles 26:22), and his father Amoz a brother of King Amaziah. R.T. Anderson suggests this scenario based on a seal discovered in Jerusalem. The seal's inscription reads; "Amoz the scribe". The date of the seal is unknown, and Amoz quite possibly could've been a popular name in ancient Israel, so the accuracy of Anderson's theory based on this seal has been brought into question. Yet the notion is not without validity. Scripture does seem to indicate Isaiah possessed special access to the king. II Chron. 26:22 does record Isaiah was the sole individual responsible for writing down the acts of King Uzziah - thus the King's chief scribe. This is quite different from, say King David, who had Samuel, Nathan and Gad all record his reign (I Chron. 29:29). 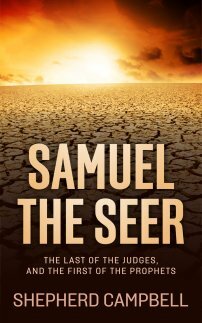 King Solomon, too, had multiple seers and prophets record his reign (II Chr. 9:29). Jewish tradition in the Talmud (Sota 10b) suggests Amoz was the brother of King Amaziah, the father of King Uzziah. Linguists point to the "-iah" ending of Isaiah's name as indicative of royalty. This ending is an abbreviation for YHWH and was practiced in ancient Israel almost exclusively among the royal and elite. Isaiah loved Jerusalem, and was quite familiar with life inside the city. He was well respected among Jerusalem's elite, as he often criticized them with no repercussion. He was also familiar with the oppressed and poor of the city. Isaiah was very well acquainted with the Temple and its procedures and practices (Is. 1:11-15). Isaiah is one of the longest books in the Old Testament. Mainly because Isaiah's ministry was one of the longest recorded in the OT - spanning the reigns of 5 kings - Uzziah, Jotham, Ahaz, Hezekiah & Manasseh. We know Isaiah lived in the 8th century BC. He was a part of the 8th century string of prophets including Jonah, Amos, Hosea and Micah. The former three were prophets in the northern kingdom of Israel. Micah was a contemporary of Isaiah's, and also of the southern kingdom of Judah. 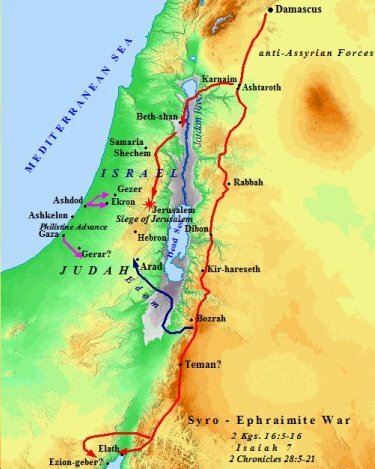 A map of the Syro-Ephraimite War with Judah. CERTAIN EVENTS WITHIN THE BOOK OF ISAIAH, LIKE THE SYRO-EPHRAIMITE WAR BETWEEN 734-32 BC (IS. 7), HELP DATE CERTAIN PARTS WITH CERTAINTY. THE ASSYRIAN SIEGE OF JERUSALEM IN 701 BC ( IS. 37) IS ANOTHER EXAMPLE OF SUCH AN INCIDENT. Controversy exists as to the exact date Isaiah began his ministry. Some point to the opening verses of Isaiah 1:1 as to the date, others point to Isaiah 6:1 as his inaugural calling. The Biblical account seems to indicate Isaiah started his ministry during the reigns of Uzziah & Jotham. King Uzziah's reign reached a level of prosperity and success Judah had not seen since the days of David and Solomon. However, in the latter part of his reign he became proud, and God struck him with leprosy as a consequence (II Chr. 26). Uzziah, thus, was forced out of Jerusalem due to his leprosy, and his son, Jotham, instead ruled in his absence. The text itself suggests Isaiah began his ministry around this time of Uzziah's reign, either right before or after he acquired leprosy. The time period is suggestive of between 750 - 740 BC. This would've been after Uzziah's earlier successes, and right before his death in 740 BC. Jotham, his son, would've been the actual inidividual sitting on the throne in Jerusalem, ruling in place of his dying father. A compilation of Jewish traditions lead one to believe Isaiah's death occurred at the hands of the evil King Manasseh, who ruled ca. 687 - 642 BC. However, Manasseh was possibly a co-regent of Judah starting around 696 BC. Isaiah being sawn in two, by Petrus Comestor in his text, Speculum. The exact year and method, however, are unknown. Jewish tradition, based somewhat on a cryptic passage in Hebrews 11:37, suggest Isaiah was sawed-in-half inside of a log by King Manasseh, though this is uncertain. Petros Comestor depicts Isaiah being sawn in two while hanging upside down by his feet in his text entitled, Speculum (above). Some scholars argue the book of Isaiah was not fully compiled, edited and written until 630 BC, decades after his death. This uncertainty is not uncommon among the prophets. Their background and personal information were not important. Their message was. Consequently, little is given of their identities, families, backgrounds, etc. outside of the context of their ministry. Little is given as to their eventual fate, as was the case when Jeremiah fled Jerusalem and disappeared. In this way it is their message that remains central - not themselves. It is God's timelessness which stands out - not their personal stories. What makes Isaiah different is the fact his name, more than any other, appears again and again throughout the pages of the New Testament. His messianic teachings resonate in the book of Revelation. The book of Isaiah, today, is perhaps more relevant than it ever has been. Burge, Gary and Hill, Andrew. The Baker Illustrated Bible Commentary. Grand Rapids: Baker Publishing Group, 2012. Smith, Gary. The New American Commentary Isaiah 1-39. Nashville: B & H Publishing Group, 2007. Trent, Butler. Holman Old Testament Commentary - Isaiah. Nashville: B & H Publishing Group, 2002. Print. Utley, Bob. Isaiah: The Prophet & His Day chs. 1-39. Marshal, TX: Bible Lessons International, 2010. Zodhiates, Spiros. The Hebrew/Greek NASB Key Study BIble. Chattanooga: AMG Publishers, 1960. Print.